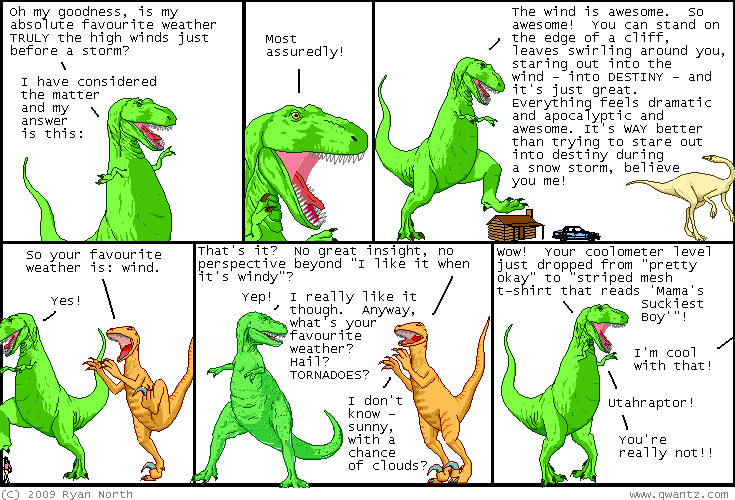 Dinosaur Comics - June 1st, 2009 - awesome fun times! –And it's not just one folk! MULTIPLE folks have said this!! June 1st, 2009: This weekend I helped build a grappling hook and used it to steal back from Poseidon. One year ago today: is my timing right? did - did you save your love for me tonight?